So, you’re thinking about becoming a freelance hairstylist? There are a number of reasons to freelance – flexible hours, freedom to choose the work you do and the chance to be your own boss. But there are also ‘cons’ – no guaranteed wage, no sick pay or holiday pay and all the behind administrative work you may not have considered. Going it alone is a huge commitment and whilst the rewards may be great, so is the risk! There are many factors to consider before you make the leap but with a little expert advice, you can be sure you’re not leaping blind! Here are 10 ‘tips’ for starting a freelance hairstylist business. 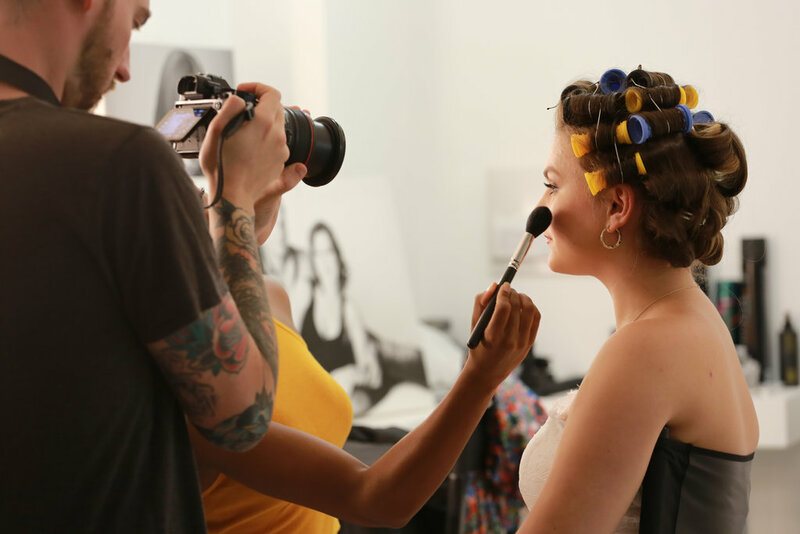 Before you commit to life as a freelance hairstylist or makeup artist, you need to be sure that you have what it takes. You need to be motivated and passionate about what you do. Without a ‘boss’ encouraging you to work hard, you may find you’re taking it a little easy. You need be able to manage your time effectively and have the confidence to get up and go! Spend some time with a freelance hairstylist or freelance makeup artist, do your research sp that you can go into the unknown with the confidence to know that that you’re up for the challenge and can put in the effort needed. As your own boss, it won’t happen unless you make it happen. Any hairstylist or makeup artist needs to be sociable, but as a freelancer having the gift of the gab is even more important! 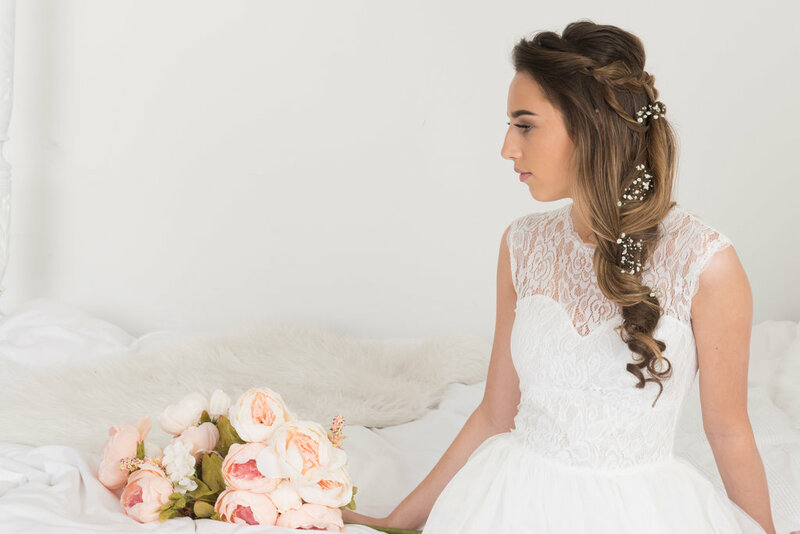 You’ll need to be able to converse with all manner of people – clients, businesses, suppliers and the tax man, to name a few so make sure you feel able to hold your own and come across as a successful and trustworthy stylist! It’s OK if you’re nervous to start with, you’ll soon get used to it and the more confident you are with your skill-set, the more confident you’ll be, speaking to your clients. You’ll also need to be pretty thick-skinned, flexible and reliable! Clients will expect you to respond quickly and professionally and sometimes, you’ll have to deal with dry spells. This doesn’t mean you’re no good or that all hope is lost! It takes time to build up a business, so be patient and try not to take the slow months personally. Before you even consider going it alone, it is essential to make sure you have all the relevant qualifications. In order to really stand out, you’ll want to be able to offer more than just the basics, so train. Train. Train! You can ever know too much and you can never be too qualified. With the ever-changing trends, you need to keep learning and keep practicing throughout your entire career. Our online course is ideal for keeping your know-how topped up, as we’re constantly updating our tutorials. We offer many courses that will give you that little bit more and give you the edge over a competitor and they are all Habia endorsed! 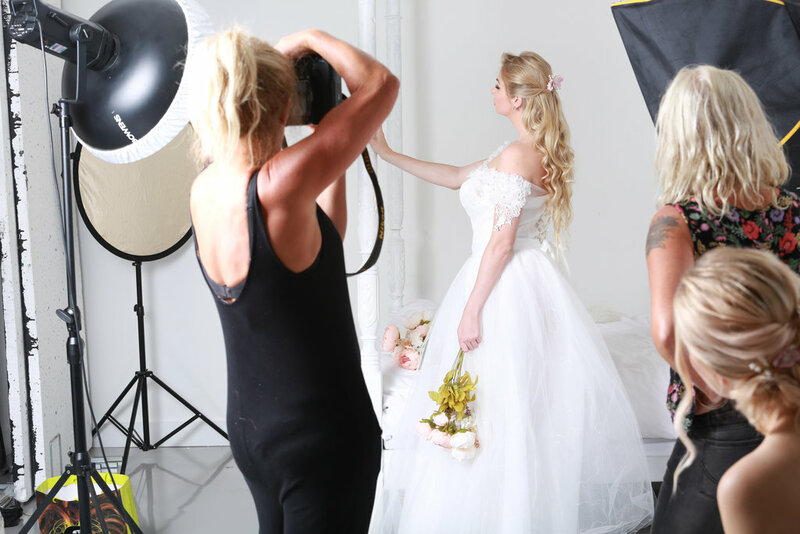 Without colleagues to inspire you, it can be easy to lose touch with what’s in fashion, but by attending courses, or keeping in the loop with our online course, we can keep you on top of your game and help you stay on top of current trends to make sure you’re able to offer exactly what your clients want. As a freelance hairstylist, you might find that you miss working with other people and this is another reason training can be a wonderful help. Our online course includes Live Webinars, so even when you’re training at home, you can still enjoy a fun, classroom environment when you feel like it. 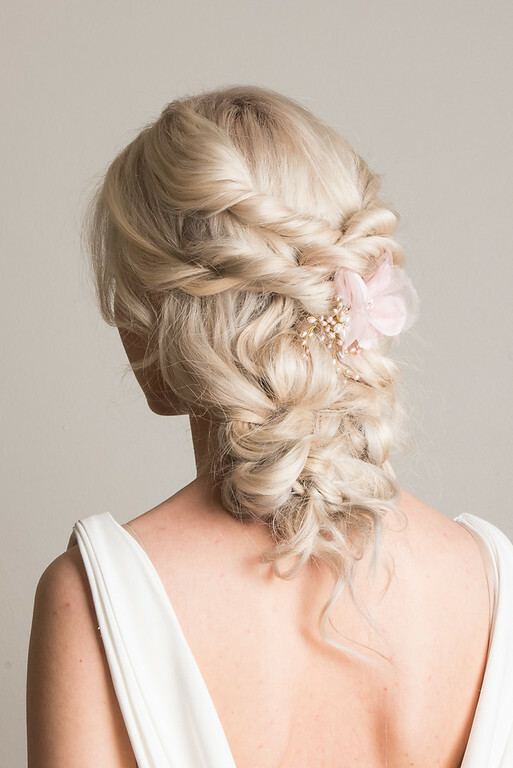 If you have a speciality – braids, blow-drying, gorgeous updos, or bridal hair – work it! Perfect it and make it yours! Don’t underestimate the administrative work you’ll need to put in (and if you need help in busy years, invest in an accountant!). You’ll need to make sure you have the necessary insurance, you’ll need to keep your taxes in order, you’ll want a website, you’ll need to invest in advertising and you’ll have to manage your own time/bookings/cancellations. To have any chance of succeeding, the ‘behind the scenes’ work is crucial. And to avoid any hefty tax bills, you’ll want to make sure you are fully prepared and keeping your records accurately! You’ll need to make time for correspondence with clients. This will probably mean that you don’t get to work regular hours and instead with have to allow time in the evenings to deal with all the often boring, but essential stuff. The most important thing, initially, (once you’ve made sure you’re fully insured and have all the necessary equipment/training) is actually getting business. So how do you do that? Figure out your ‘brand’. Even as an individual it’s important that you present yourself as a business with a consistent style. Get your business cards out there and be sure you’re targeting the correct audience on social media and beyond. 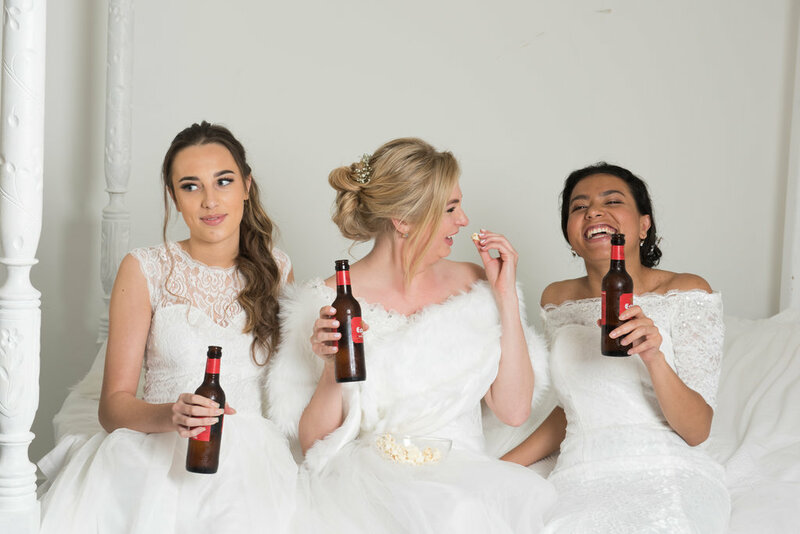 Attend wedding fairs and chat to wedding vendors, contact local bloggers and be seen at events. 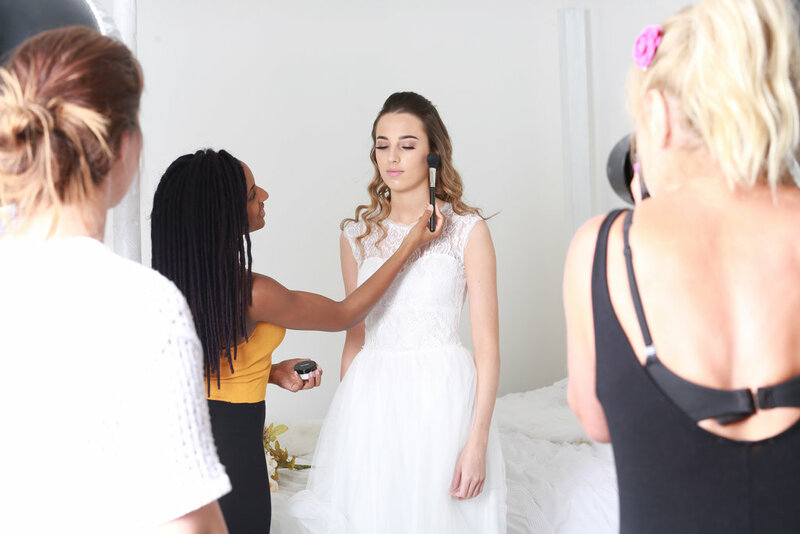 Volunteering to help out on magazine shoots and at events when your first starting out can really help you get your foot in the door. You’ll need to have a strong portfolio of work for clients to even consider hiring you, so come on our 4 day course for a professional portfolio shoot, or arrange your own. Use social media to your advantage! In today’s technological age, you need to have a real online presence in order to build a client base. Think about offering incentives to begin with, discounts or even freebies and collaborations when building your portfolio. When starting up as a freelance hairstylist, there will of course be a financial impact. You’ll need to invest in equipment, without a salon as a base, you’ll need everything. This is always going to be a big expense, so minimise it as much as you can by shopping the sales and using professional discount codes. Advertising can be a big help too, when done right, but one of the best forms of advertising is having your own website with a regular blog which you can then share on social media. Google ads can also be great, but think about your competition. If you’re in London or another big city, you may find that your ads get swept away by big names. In a smaller town, you’ll have better luck. It’s always a good idea to try and take into account your finances during down time. Put money aside, when you can, so that you are financially secure enough to weather the quieter months and at the beginning, whilst your building your client base. Do your research! Find out what similar stylists are charging – don’t go in too high but don’t under-price yourself either. You may need to be conservative to begin with in order to attract customer but you need to make sure you’re covering your own costs. You’ll have no chance at success if you’re losing money month after month. Think carefully about promotions you’re running. Discounts and incentives are a great way of bringing in clients but make sure the numbers work before you commit! Personal connections are everything! Social media needs to be one of your main focuses as does face to face interaction at events. You need to have a clear and impressive online presence, so try to get clued up on how it all works. You will need be posting online regularly and with a consistent ‘theme’. Network with other stylists. Ask clients for reviews and ‘shout outs’ online. Word of mouth is great (and free!) but can be a little slow so don’t rely on this as a means to get yourself known. Advertise. Network. Be visible! Offer your services at events to gain access to a large target audience. Think carefully about the type of client you want to attract and focus on them. Place fliers and business cards in places you know your target market will see them. Being freelance doesn’t necessarily mean you need to go it alone completely. If you can afford it, hire someone who can help build your brand or work with others when the opportunity arises. As your work takes off, you may want to find someone help with your taxes and hire an assistant to make your day to day life easier. It probably won’t be necessary to have a team of people at the very beginning but think about how best you can utilise the expertise of others and offer your help so you can call in those favours later! Don’t expect the work to come to you! Not to begin with at least. You need to get out there and hunt it down! You could consider registering with an agency who will help find you work but be careful about the associated cost. Be sure that the money the agency could bring in, covers the cost to you. It may feel like a huge risk and a scary prospect BUT think of the benefits. As long as you are savvy and do your research, you’ll likely be a success! You’ll get such job satisfaction knowing that YOU are in control. Your success will be solely down to you.